It’s a tiny piece of sophisticated micro-engineering that was born in Silicon Valley in 2006. Since its launch, the Lyric hearing aid has completely revolutionised the hearing healthcare industry as it’s the first hearing aid in the world that is 100% invisible from the outside and can be worn 24/7, for months at a time*. Now in its newest 3.1 incarnation, it is now smaller, with improved ergonomic shaping for better fit quality in the majority of ear canals. Lyric can only be fitted by specially trained hearing healthcare professionals like us. We do not charge an additional fitting fee for you to try this, so again, we are your smart choice. Book an appointment and join the thousands of people that have already experienced the sound and comfort of Lyric! The exterior is made with a soft foam material that is specifically designed to contour to your ear canal and the proprietary coating technology protects the device from moisture and ear wax. The battery is also designed to last for up to 120 days. All of this means that the hearing device can be placed deep in the ear canal and sit close to your ear drum for months at a time. Giving a 100% invisible solution that can be worn 24 hours a day 7 days a week, even while sleeping and exercising. Where Tinnitus is associated with an underlying hearing loss, wearing a hearing aid can often provide relief. Amplifying the ‘difficult-to-hear’ ambient sounds could help to distract from the Tinnitus thereby reducing its perception and impact. Although also helpful, one of the drawbacks of daily wear hearing aids for Tinnitus sufferers is that they need to be removed during the day for showering, or for certain forms of exercise, and at night time for sleeping, often accentuating the Tinnitus during these times. But the Lyric hearing aid is different, as it is the only hearing aid that can be worn 24/7 for months at a time*. 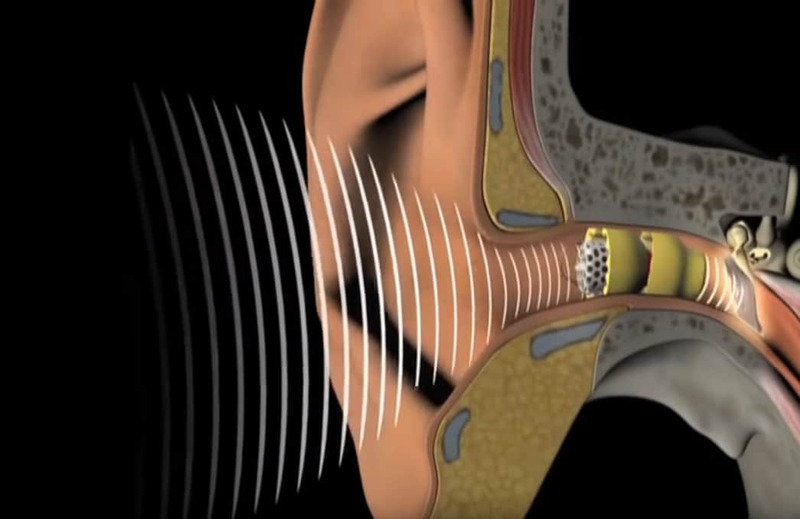 Therefore providing continuous relief for those Tinnitus sufferers who benefit from a hearing aid. Ability to use ear-level listening devices, such as a telephone, headphones, or stethoscope, with little to no feedback.